Nowadays, you can use mobile applications to call a taxi in the part of the city where you currently live or you are visiting. 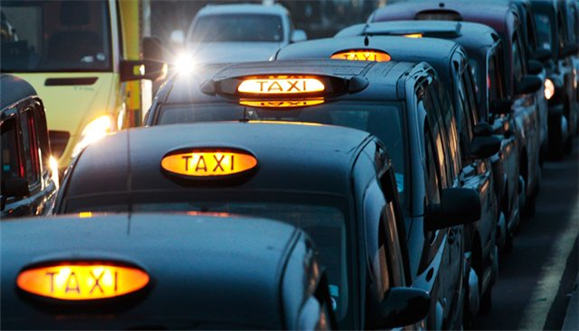 Today we’re going to talk about the top 5 taxi applications that everyone can use in the UK. Uber is a popular Taxi application that is used in many countries and UK is one of them. After installing the application on your smartphone, the GPS identifies your location and you will be able to request a driver. You will be able to see the driver’s profile and request him/her to pick you up. After the driver is accepting your request, you will need to input the address of your destination, and you will get a price and ETA. Keep in mind that in case there is a high demand and the numbers of the drivers are quite limited, Uber is going to bring up the prices. However, the prices are pretty decent and we’re pretty sure that you will love using this application once you get it installed on your smartphone. Addison Lee is London’s favorite mini-cab service, allowing you to book on demand or in advance. In addition, you will be able to track the drive, see the GPS map and the rate. Using the Addison Lee application, you will be able to even choose the car that you want to pick you up. With other words, in case there are more people with you, you might consider asking for a people carrier. If you like to protect the environment, you can even ask for an Eco vehicle. Kabbee has a network of over 70 providers and 10.000 cabs in London. Kabbee doesn’t operate with its own fleet of vehicles, which it can be quite good, as you will most likely get a Taxi to your position faster. At the same time, you will be able to search for all available minicab companies and perform searches based on price. Aside from the usual features that all other Taxi applications have, such as: driver information or real time location, you will also get 24/7 customer service, which will try to solve any issues that you may have regarding the application. The Kabbee application will surely help you make some major savings, because, according to reports, the prices can be 65% cheaper than how much the Gett application is charging. Another good thing is that you are allowed to choose from a multitude of Taxi providers. In case you have a child with you, don’t worry, because you can also request child seats and other features that you might need. Kabbee is accepting cash, cards or the amount of money you have via the application. 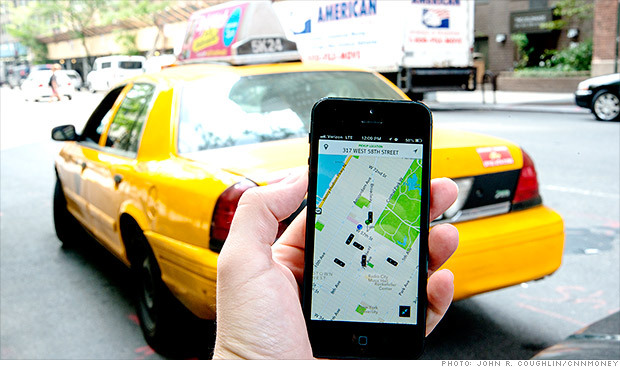 Initially, Gett was called GetTaxi and likewise Uber, it’s available 24/7. The average waiting time for a car is about 3 minutes in the central London and the users are able to track the upcoming driver along with information such as: driver’s name, photo and license plate number. There are a lot of features that Gett “borrowed” from Uber, but it seems that the drivers have to take the Knowledge test. This test is related to the streets from London, which the driver needs to know perfectly, by heart. It seems that it can last years until you can take the Knowledge pass. All drivers are licensed and have to take a training program with Gett. They also need to pass the medical and CRB checks. Gett is a bit more expensive than Uber, but it is offering discounts and seasonal offers. HINT: All drivers from Gett will show up with a BLACK car. Bounce is another Taxi application that you can use in London. Unlike other Taxi applications, Bounce gives you a free 5 minutes waiting time, in which you can decide if you want to cancel your cab or not. By canceling the cab during these 5 minutes, you will not be charged at all, which is pretty awesome in case a friend calls you in the meantime and offers to give you a lift. You will be able to swipe between drivers and see their profiles and cars. The downside of Bounce is that there are a lot of complaints saying that there is limited driver availability. A lot of reports said that the waiting times were huge, mostly because of the limited driver availability problem. This application has higher tariffs than Uber, which means that you will need to pay a bit more for your journey through the streets of London. It seems that people are no longer calling for Taxis nowadays. Instead, they just open a Taxi application on their smartphone and get the cab right at their location, based on the GPS location, in a few minutes. At the same time, they are able to see the tariffs and an estimated price from their current location, to the destination. Next articleWindows 10 Is Here And We’ll Tell You Everything About It!